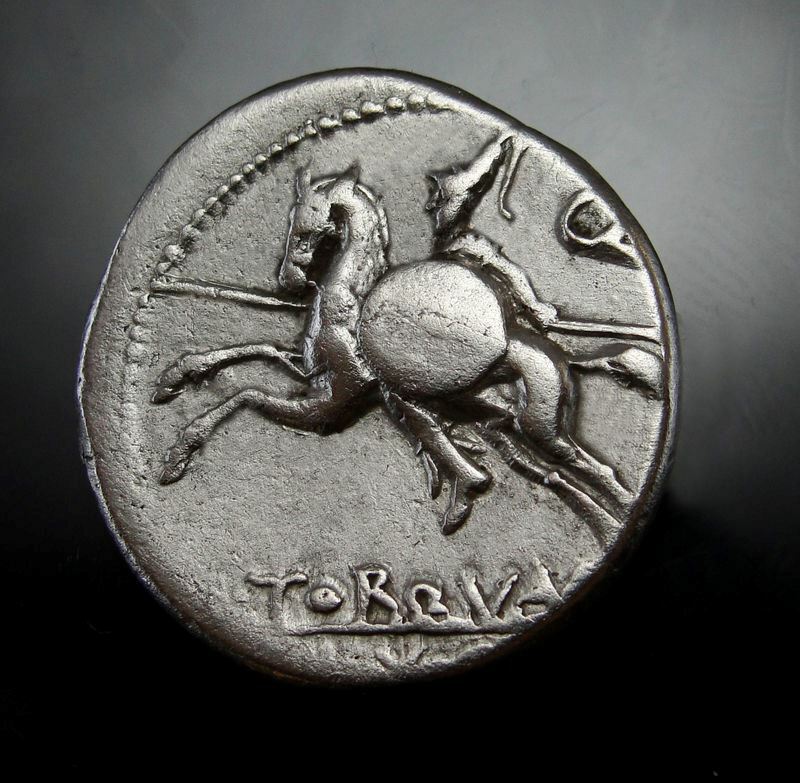 L. Manlius Torquatus was quaestor in 113-112 BC, and struck coins in that respect. He is not otherwise known. Gens Manlia was one of the oldest and noblest patrician houses at Rome, from the earliest days of the Republic until imperial times. The first of the gens to obtain the consulship was Gnaeus Manlius Cincinnatus, consul in 480 BC, and for nearly five centuries its members frequently held the most important magistracies. Many of them were distinguished statesmen and generals, and a number of prominent individuals under the Empire claimed the illustrious Manlii among their ancestors. The Manlii were probably numbered amongst the gentes maiores, the greatest of the patrician families. As with many patrician gentes, the Manlii seem to have acquired plebeian branches as well, and one of the family was tribune of the plebs in the time of Cicero.